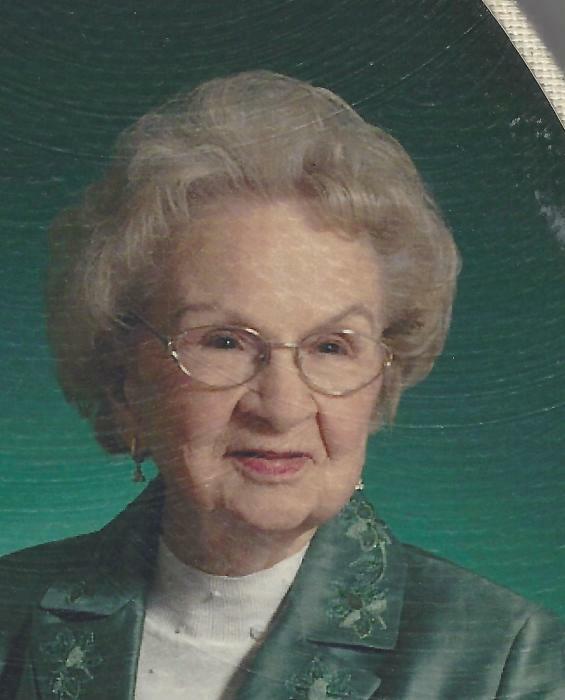 Esther Wagers Bigham, age 97, passed away at Oakleaf Village Assisted Living in Lexington, SC on Thursday, April 11, 2019. She was the daughter of the late Carpenter Hough Wagers and Katie Lewis Wagers. Her husband of 63 years, James A. Bigham, preceded her in death in 2010. She was also preceded in death by her sister, Mary Alice Wagers Lee, and her brother, James C. Wagers. Esther was a native of Chester County where she graduated from Blackstock High School. After more than 20 years with BB&T, she retired and enjoyed traveling, reading, gardening, and working in her church. Mrs. Bigham taught Sunday school in the preschool department for many years, served on the flower Committee and Bereavement Committee, and was a member of one of the Wednesday Night Meal Teams. She was also involved with the Golden Age Club and the Senior Adults of First Baptist Church. Mrs. Bigham is survived by two daughters, Kathy B. Gordon (David) of Lexington, SC and Christy B. Driggers (Ed) of Greer, SC. She is also survived by five grand-children, Jonathan Hendrix (Emily) of Washington, DC, Jim Hendrix (Nikki) of Nashville, Tn., Katie Hendrix Alexander (John) of Lexington, SC, Kathryn Driggers Nichols (Garrett) of Greer, SC, and Mary Moore Driggers of Greer, SC; three great-grand-children, Nora Grace Hendrix, Anderson Alexander, and Caughman Alexander. She is also survived by her sister-in-law, Betty B. Bagley of Chester, SC. The funeral for Mrs. Bigham will be 3p.m. Sunday at Chester First Baptist Church. Reverend Clay Waldrip will speak. The family will receive friends from 2 until 3p.m. in the church foyer. The burial will be private in Chester Memorial Gardens.